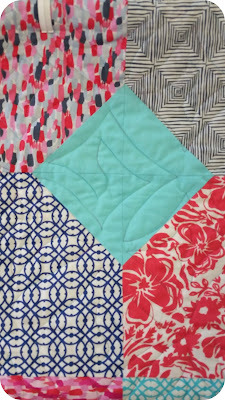 Secret sewing is almost finished (whew) and since some of the quilts have been delivered, I can start sharing them. 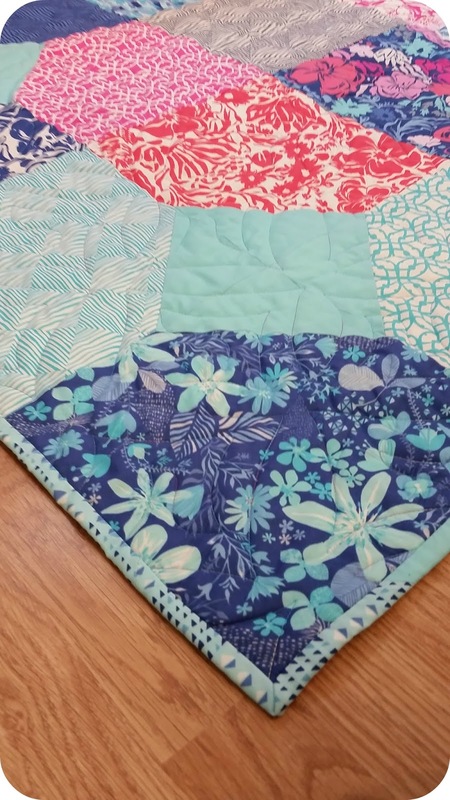 A few years ago our church asked if I could make a quilts for two graduates of the Bible school associated with our church. And it seems this will be a trend that will continue lol. 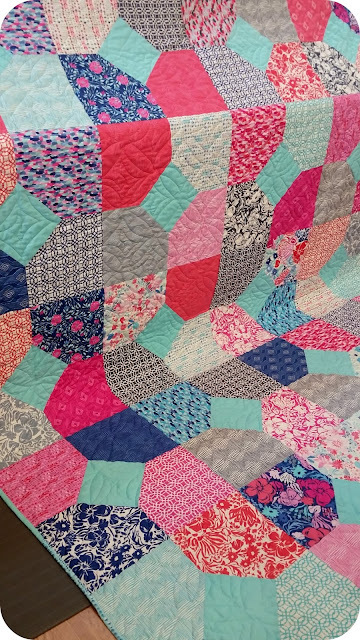 For this quilt, I got to be sneaky. I called the recipients cousin(who I was also making a grad quilt for lol) to find out the favorite colours. Than I found the most perfect fabric. Unfortunately, the day I took this pictures was horribly rainy and the colour isn't accurate. The quilt is more pink/fuschia and teal than red. 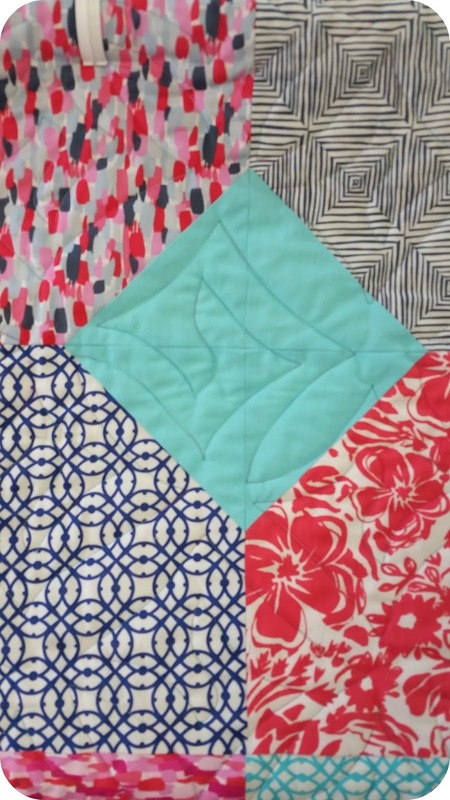 I love how the quilting works with this quilt. A perfect accompaniment. I didn't have enough of the solid fabric to finish the binding so I took the few layer cake squares that I didn't use in the quilt and worked them in on the binding. I still have a wee bit of secret sewing to finish. Stay tuned!